Wondering what to do with your kitchen waste? Have a small yard? 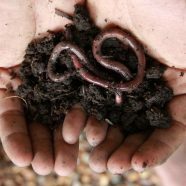 Build a worm bin to take home with you in this hands-on workshop for all ages. Meet some red wiggler worms and learn what makes them specially adapted to eat your garbage!